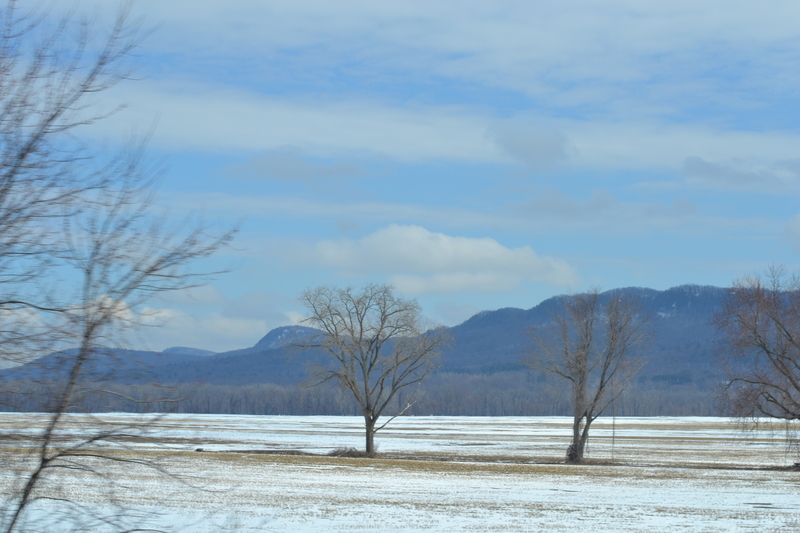 The music for this post is a rendition of the song “The Road Home”, which was one of the pieces sang this weekend at the New England Music Festival. 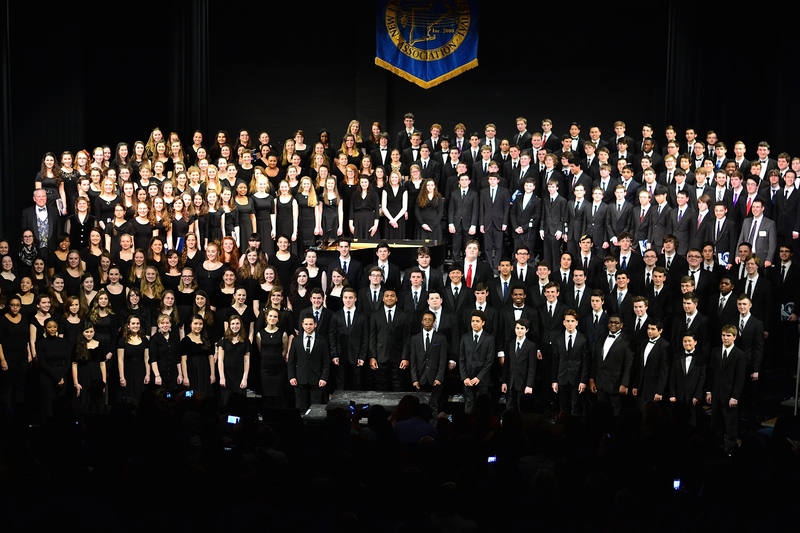 Unfortunately, I do not have video of the actual performance, but this is one from youtube, which gives an idea of the caliber of singing we enjoyed from Grace and her peers. (they sounded just as good if not better)……. My daughter Grace is 15 years old now and in the 10th grade. Recently, she tried out for the New England Music Festival and made it, so she has been extra busy with preparations for this important event. We have three teenagers involved in High School extracurricular events and I feel as though I miss seeing Grace the most. Her older brothers are involved in sports which means during the competitive months I see them performing on a constant basis. But Grace is in music and drama both of which do not have as many performances, but a rather lot of practicing— so I don’t see her until about 6:30 or later every school night. I do miss her very much at times, but Grace is the type of individual who thrives on being busy. She is very much like her Dad in that way, but she seems like more of an extrovert. Although she does like reading and writing, she comes alive around her people, especially her role models (teachers and older students and friends). I watched her get on the bus Thursday morning at 6:30 for school, with Jacob carrying her suitcase for her, and I felt a little anxiety knowing I wouldn’t see her again until Saturday. 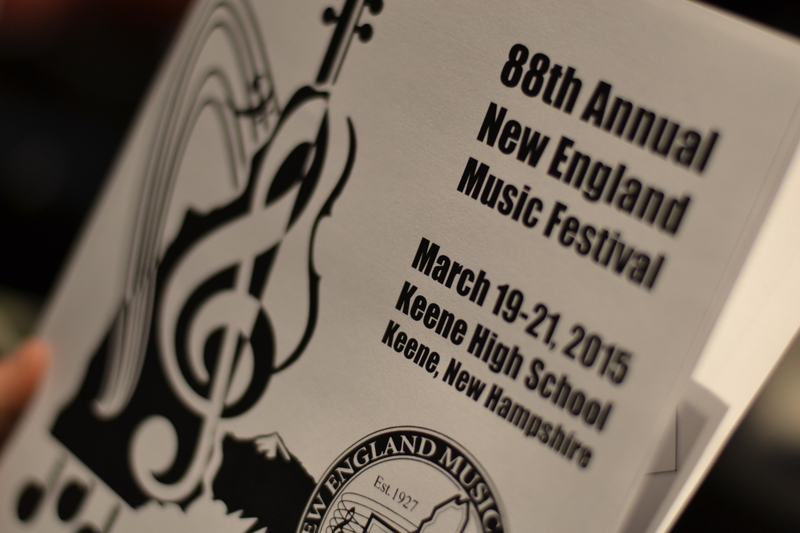 Thursday was the day she and the other students travelled to Keene, New Hampshire, for the music festival. She doesn’t have a cell phone so she would only be giving us brief updates using a friend’s phone. It is amazing to me how much the dynamic of our family changes with just one person away! Each one of our children is a perfect fit into our family, we love them so much and thank God continually for this stage of life when all seven are still under our roof. I prayed continually, asking the Lord that she would do well and that her cough (left over from a resent bout with the flu) wouldn’t be a problem. He answered those prayers and more; the girls stayed with a host family and one of the girls there was a believer. 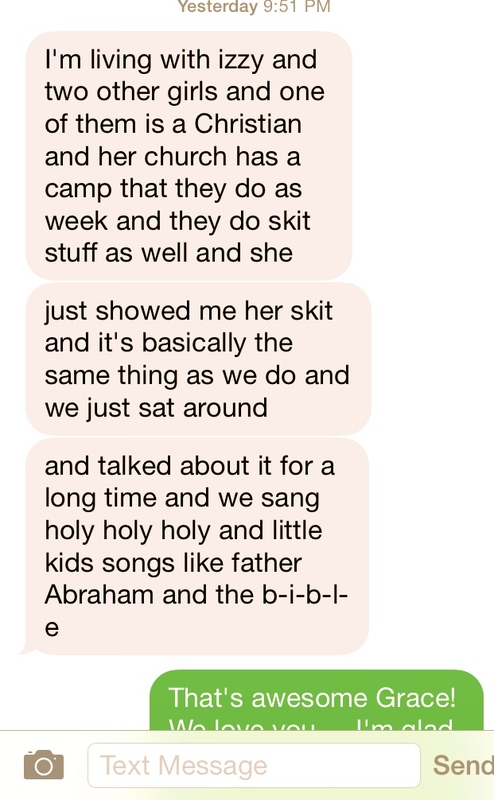 Rich received a text message from Grace that told us that she and her new friend talked about the Bible and sang together with two other girls. They tried naming the 12 tribes of Judah, sang camp and Sunday School songs, went through all the contemporary Christian songs and artists that they knew, and generally had a wonderful impromptu Bible study during one of their free evenings. Oh it just thrilled my heart to hear all about it later on. There is another girl from our town that Grace loves, her name is Isabella, and she is a believer also, and was on this same trip staying in the same home as Grace. God is so good in these small but oh-so-important ways! Despite the fact that Grace is busy, she is faithful to attend the boy’s sporting events whenever she can. I thought it was only fair that with all the support the boys get from their parents and siblings with their sports, we should ALL go and support our dear sister/daughter in this special concert that she auditioned for, so I wrote a check for 96 dollars in order to purchase 8 tickets for Rich, myself, Jacob, Ethan, David, Caleb, Seth, and Sarah. 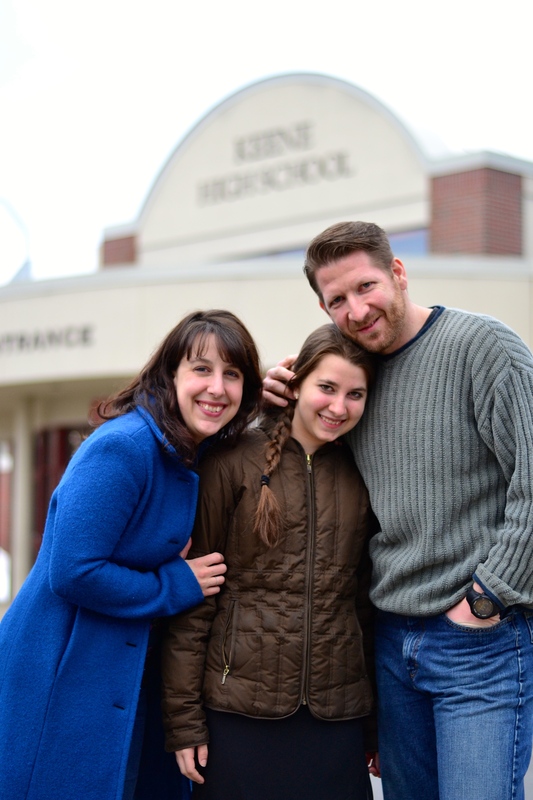 We all eagerly awaited the day when we would take our little trip to New Hampshire, and Grace was happy and secure in knowing that her family would be there, enjoying the program. Rich got a new watch that keeps track of his exercising and also gives him his text messages– and it came in the mail on Friday, which was a huge annoyance because he spent all Saturday morning not getting excited about the day trip, but silently in the corner trying to get his dang new watch all set up! It was a much needed lesson of patience for the rest of the family. Finally he got himself dressed and we got the children ready to go, too. We left the house at about noon and stopped for lunch on the way, at Crackerbarrel. My Facebook friends already saw the picture Jacob took of Rich and I together at the table. While we were sitting there at the table Rich asked me to text him…so I did…and his watch never received it…(can you believe it? after all that!) he was so annoyed. Thankfully, at the time of this writing it is working better, although still not quite right. (technology saves times and wastes time). In any case, at the Crackerbarrel, four of us ordered breakfast and four of us ordered lunch. I had a chef salad and coffee. Caleb bought himself a new stuffed cat from the gift shop and named it “SeaCat” because it’s fur is blue and green like the sea. It’s one of those Ty stuffed animals that have HUGE glittering eyes. Those are all the rage in my house lately with Seth, Sarah, and now Caleb. Sarah has about six–all cats–, Seth has two dogs. They play together with them and it’s the cutest thing. David bought jelly beans because he made a candy dispenser out of legos and wanted to try it out. It’s the neatest little thing. You have to insert a coin to get your bean out. Jacob got salt water taffy. Then we were back in the car on our way. The whole trip was only about 2 hours. I thought I had downloaded two new books to my kindle but alas when I went to read, I found that they did not download after all, so I passed the time by my iPhone and/or doing nothing. Rich brought his iPad and had the kids watch an inspirational message given by a military man. 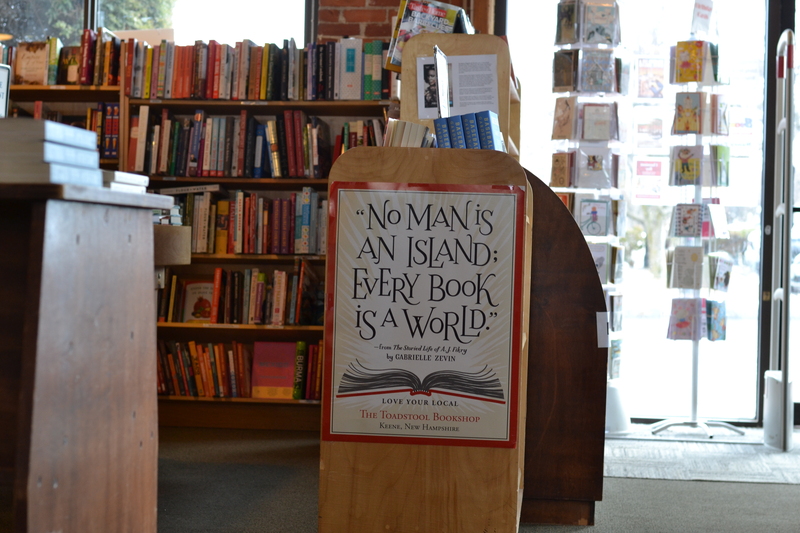 We arrived in Keene with 45 minutes to spare and found a delightful BOOKSTORE of all places! We love bookstores and this one was perfectly charming, independently owned, containing new AND used books. I bought a few charming used children’s books (one of which was titled The Doll’s House, and was illustrated by Tasha Tudor). Then we went to the school to find our Gracie-girl again. I could not wait to get my eyes on her. We already had our tickets, so we got in line, and I kid you not it was probably a quarter of a mile long. 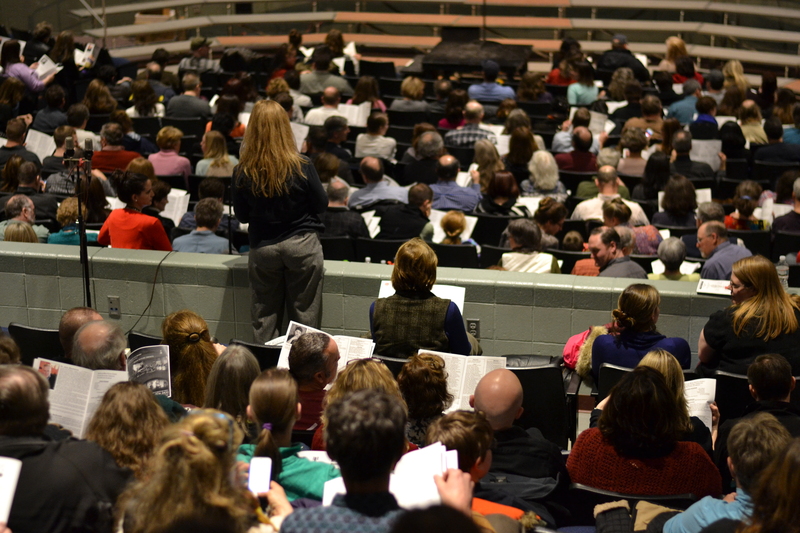 We were behind about 200 or more other people waiting to get into the auditorium for this choral concert. David almost died. 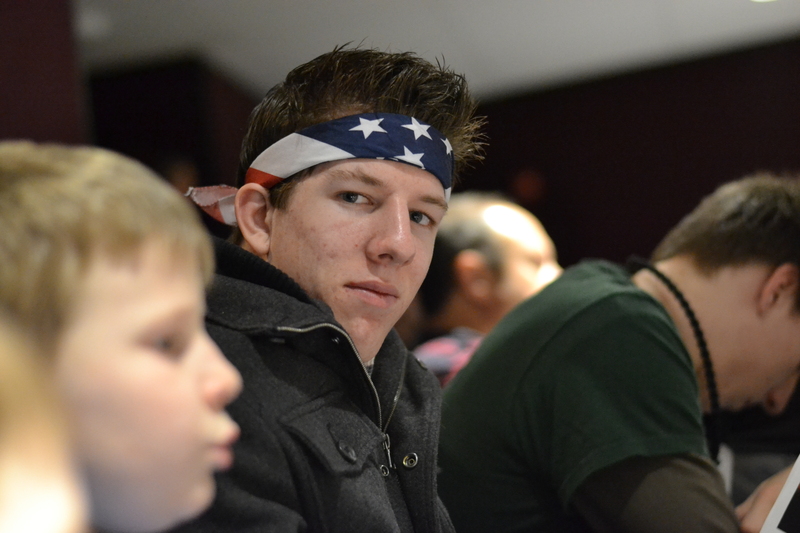 But once the line started moving we were in there quickly– in the very back of the auditorium, second to the last row. Rich and I sat with Sarah between us and of course her little feet were in the air because she wasn’t heavy enough to keep the seat down. I had her on one side and Seth on the other and it was all I could do not to get irritated with them BOTH asking me questions DURING the gorgeous songs. I finally got through to them that the could not talk during the performance, bless their hearts, the music wasn’t moving to them, but I had tears on my face throughout all the pieces, it was just so beautiful. I saw my daughter the moment she came into the room. All of the singers filed in quickly and she was the last in line on the stage bleachers. (there was another set of bleachers on the floor) I thought I had missed her and didn’t know how I could have, I thought my motherly eyes would recognize her even from such a distance away. The room was large and we were in the back, but then I saw her and my eyes teared up. 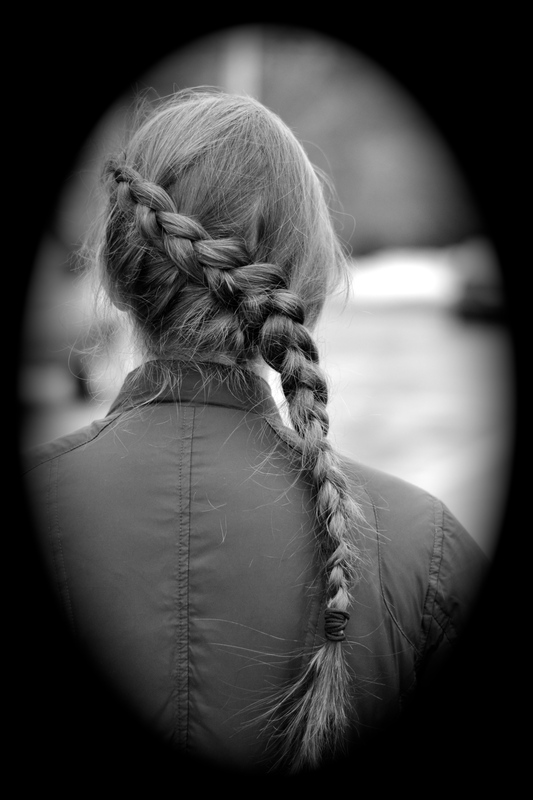 Someone had braided her hair for her and she looked so pretty and energetic. She was wearing her glasses, I had been worried that she didn’t have them with her, but she did, and she looked beautiful, even Rich turned to me and said so. We were proud that she was in such a nice big group of singers from all over New England. We were happy for her in achieving this experience. The music began, and like I said before, the pieces were beautiful. There were God honoring songs, to glorify Him, and then the last piece, a fun and happy number “Skip to my Lou” that made us laugh. They clapped during that song, I don’t know how the conductor kept the beat with all the rhythms going at once. Speaking of the conductor, I noticed Seth (he is six) “conducting” in his chair as he watched the performance and it struck me that when I watch, I usually see the concert through the eyes of one of the SINGERS, but my small son would have none of that. HE was THE CONDUCTOR! I love it. I never pretended to be a conductor. The pianist, yes. A singer, yes. Conductor, no. All too soon the concert was over and so we filed out of the room to wait in the hall with about a thousand other people. Finally I saw Grace heading toward us and the first thing she wanted me to do was take her picture with a set of twin boys. 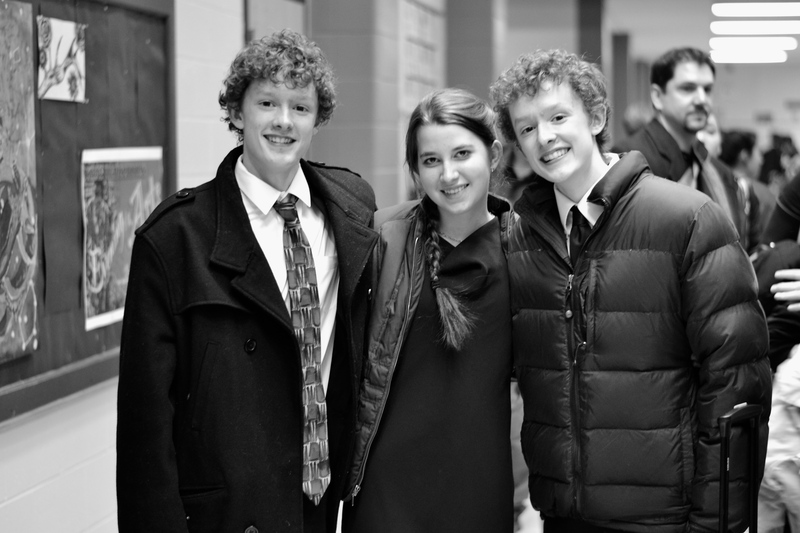 The boys were singers who were homeschooled and Grace loved them (in a friendly sort of way). Then she bid me to follow her back into the auditorium so I could meet the manager of the entire festival, who has a deaf daughter. Grace wants to be a deaf interpreter so she immediately began a friendship with this man and they signed to each other. 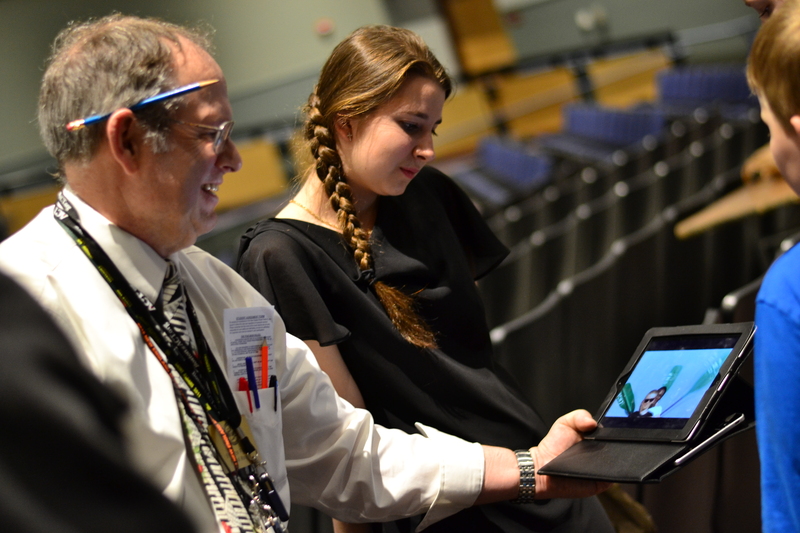 He wanted to show her a video that his daughter’s deaf camp put together of the song, “Happy”. We all stood around and watched it on his iPad and then it was time to say good bye. He said he would be looking for her next year. 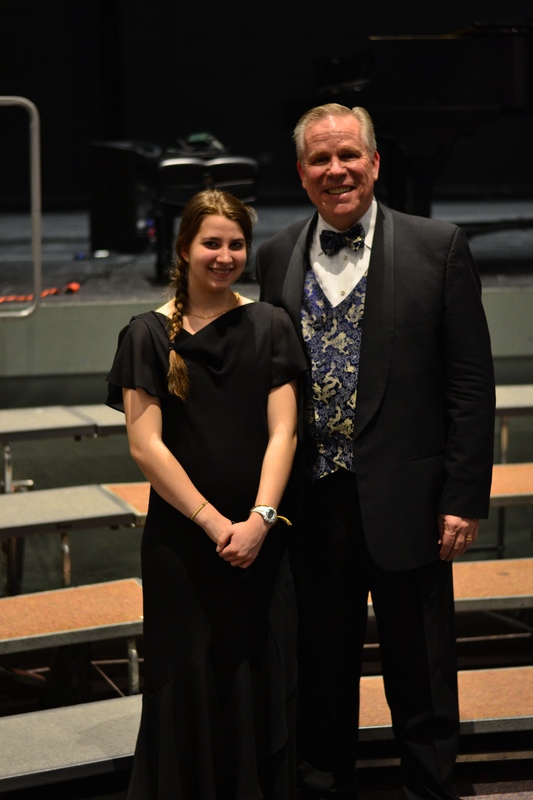 I took a picture of Grace with the conductor, Jerry Blackstone, too. He was a grammy award winning musician and from what I heard was very good with the kids. He certainly got them singing beautifully in only two and a half days of work! Grace chatted to us all about her experience on the way home. We only stopped twice…once at a gas station to take advantage of New Hampshire gas prices and another time to pick up a pizza closer to home, for dinner. 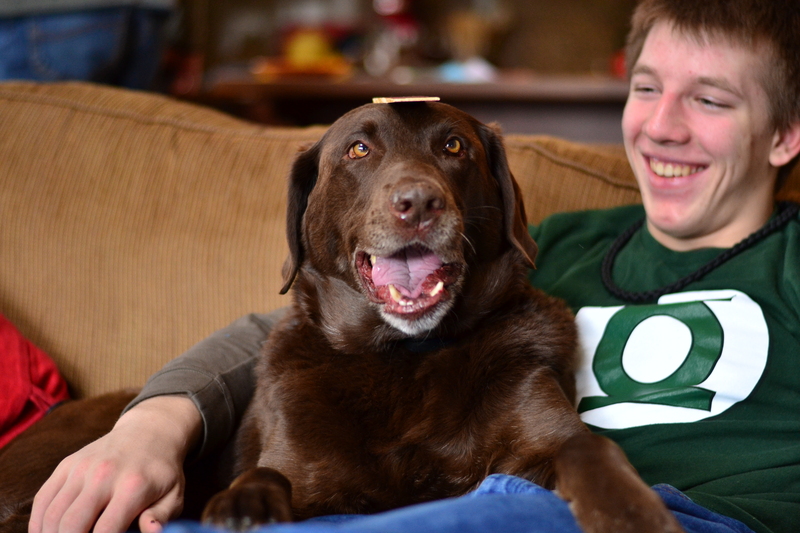 Jacob and Parker, on Saturday morning before we left….hanging around waiting for Dad to get off his watch. 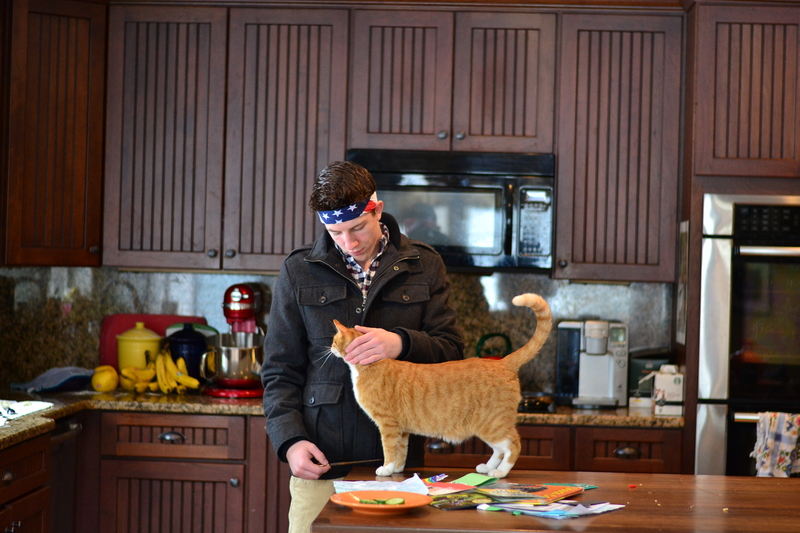 Ethan petting Sherlock right before we left for our trip. Grace and I meet once again. This entry was posted in a simply lovely life, faith, family, it's the little things, life with girls and tagged Grace, music by Shanda. Bookmark the permalink. Yes I completely understand about kids being everywhere. 3 have jobs and college. My 11th grade daughter is in choir and has uil and competition alot. She also does piano and sings in our churches youth band. It’s such a rare but great blessing when we can spend time all together. Wow! Sounds so exciting. Now I wonder where in New England you live? So wonderful. I am proud of Grace, what an accomplishment, and a blessing to use her gift. Love all the photos and news of your weekend. We are off to the doc, may begin a new therapy, but David has to be well enough and is getting over the flu. The doctor hopes this will make a difference,as David’s immune system is not keeping viruses in check. Keep us in prayer, won’t you? So great that you all went out to hear her sing!! My best friend lives in New Hampshire, near Rochester. I have never been there. We were neighbors for 10 years while her husband went to seminary. It’s wonderful that the whole family was able to go hear Grace’s choir! 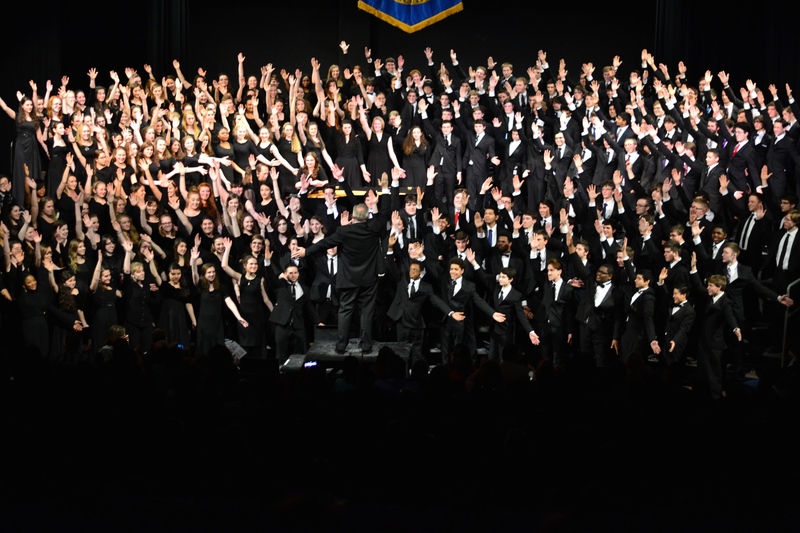 How exciting to be a part of a choir like that. and how beautiful New Hampshire is! One day I’m going to have to visit there! Beautiful song. Beautiful daughter. It’s hard to watch the kids do “big kid” activities…like packing suitcases and leaving for a couple days, isn’t it? It’s exciting and sad to watch them grow up! Each stage is fun and exciting..but I do miss them all young too. Maybe because I was younger! Haha.